Jumping mat for 8ft. 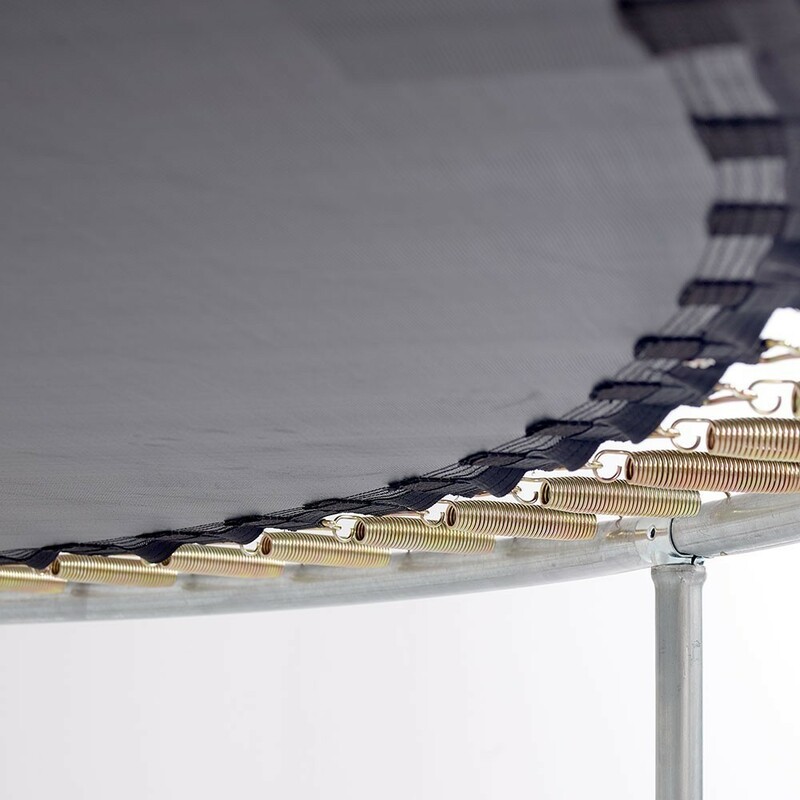 trampoline Ø 244 with 48 136mm springs. 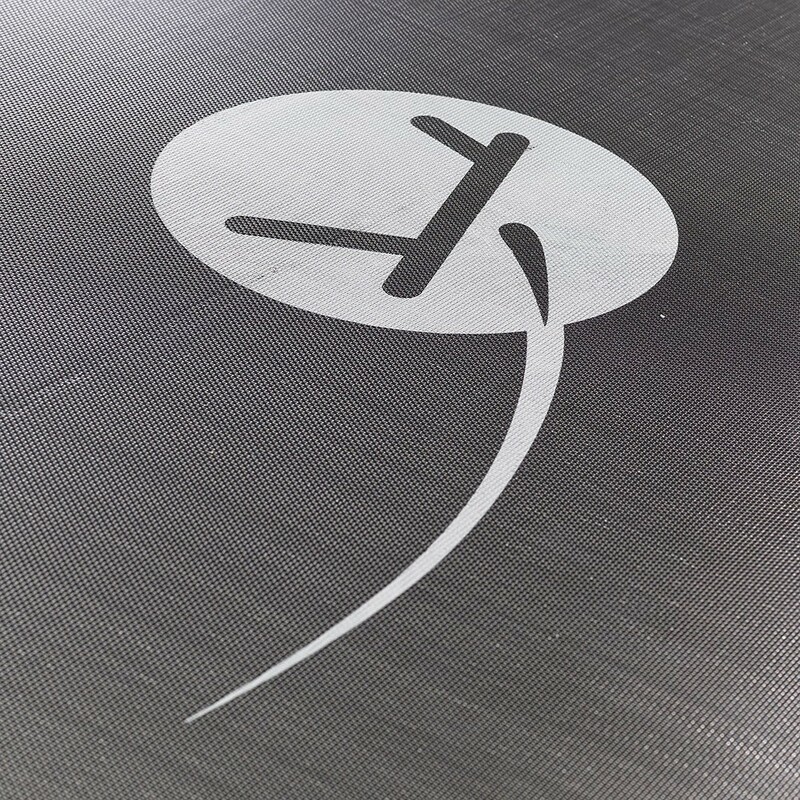 Give your trampoline a fresh new look by changing your jumping mat. Primordial part of your trampoline, when it's time is up make sure to renew it for the safety of your jumpers. - Made from high-density black mesh, a strong fabric, that is reinforced with 8 rows of stitching and a reinforced band, that offer an optimal resistance against shocks and tears. 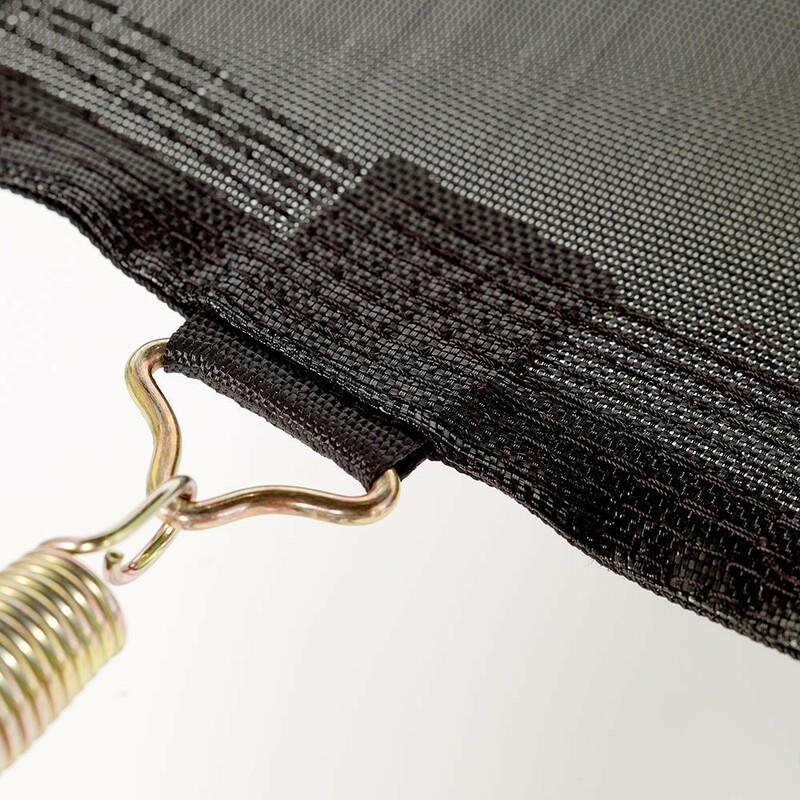 The hot-dip galvanised steel fixing brackets, attached to the straps, are corrosion resistant and will make your jumping mat even more robust. 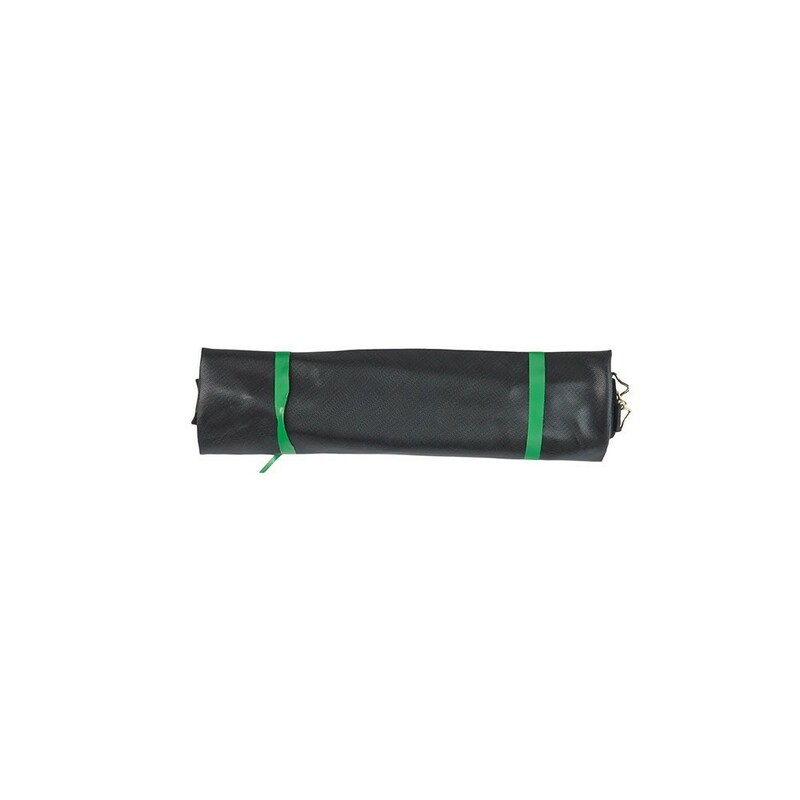 - An anti-UV treatment will ensure durability and stop you worrying about the effects of the weather on your jumping mat. - Compatibility: this spare part is compatible with all round trampolines with a 244cm diameter (8ft. ), that use 48 136mm-long springs. 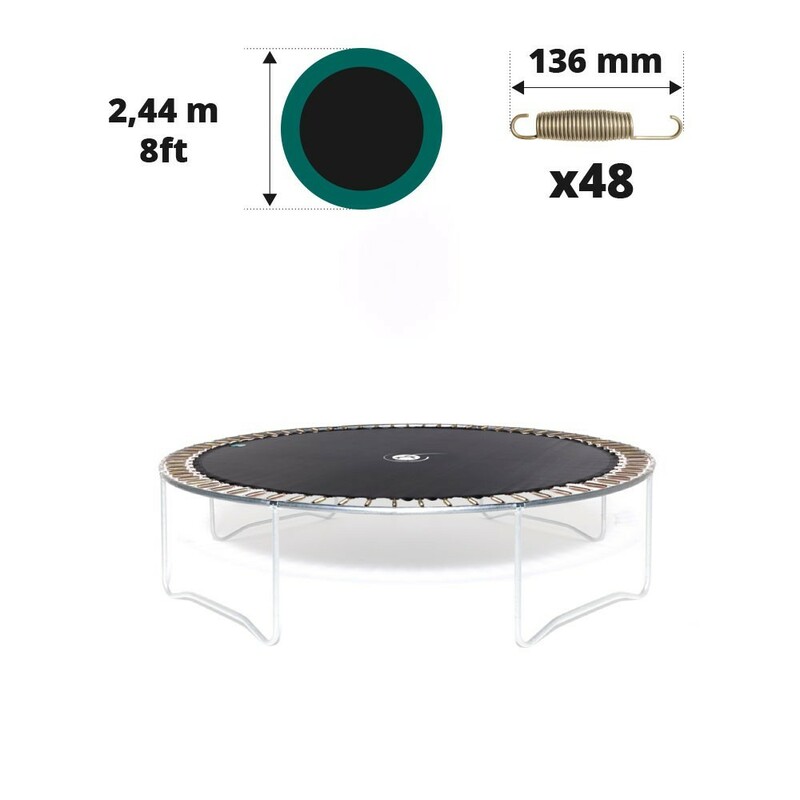 - To make sure this jumping mat is compatible with your trampoline, precisely measure: your trampoline's diameter (steel to steel) and the length of a non-attached spring (hook to hook).